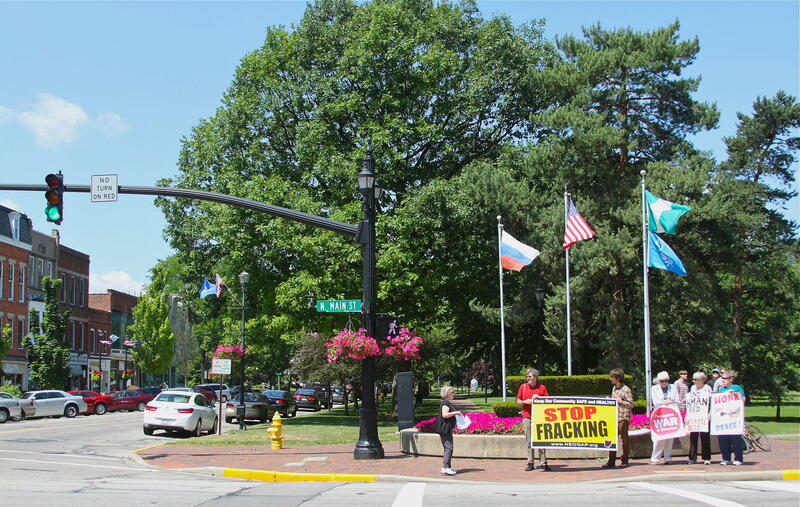 Protesters in downtown Oberlin, Ohio. Oberlin, home to liberal arts school Oberlin College, is the first Ohio city to officially make such a change. 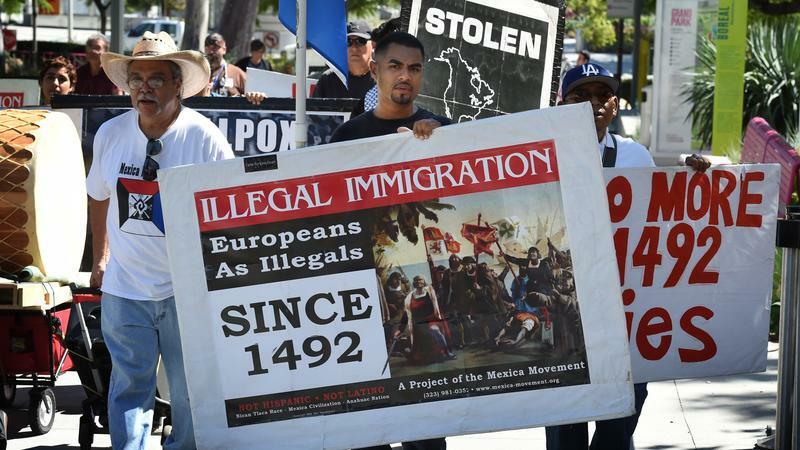 The city council voted unanimously on Monday after hearing public comments about whether to celebrate indigenous people rather than explorer Christopher Columbus' arrival in the Americas. 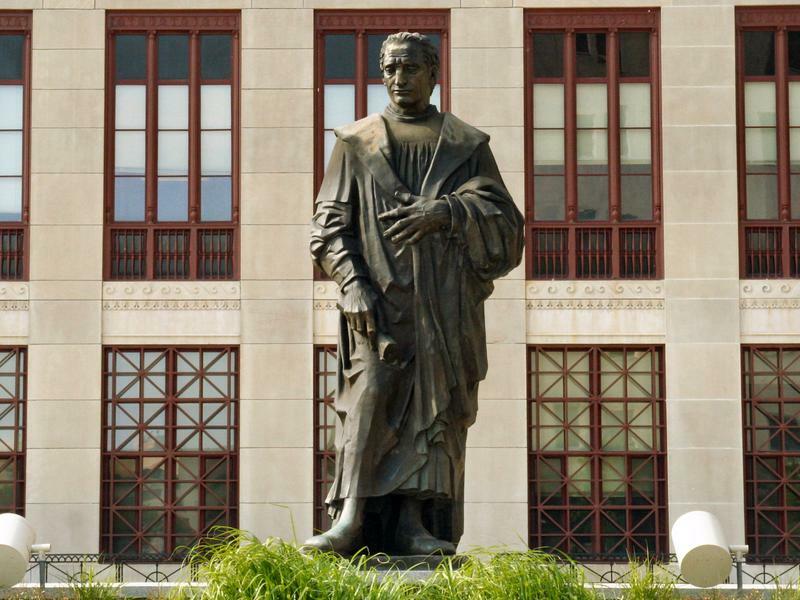 Some residents in the city objected to replacing Columbus Day, arguing that it's more of a celebration of Italian-American heritage than of Columbus as an individual. Some suggested that Indigenous People's Day could be celebrated on a different date. Supporters of the change argued that honoring the Native Americans who lived in the area was the right thing to do. Several California cities, including Berkeley and Santa Cruz, also celebrate Indigenous Peoples' Day. The state of South Dakota officially celebrates Native American Day instead. Protesters in Central Ohio have long used Columbus Day to protest against statues of Christopher Columbus downtown, among other causes. 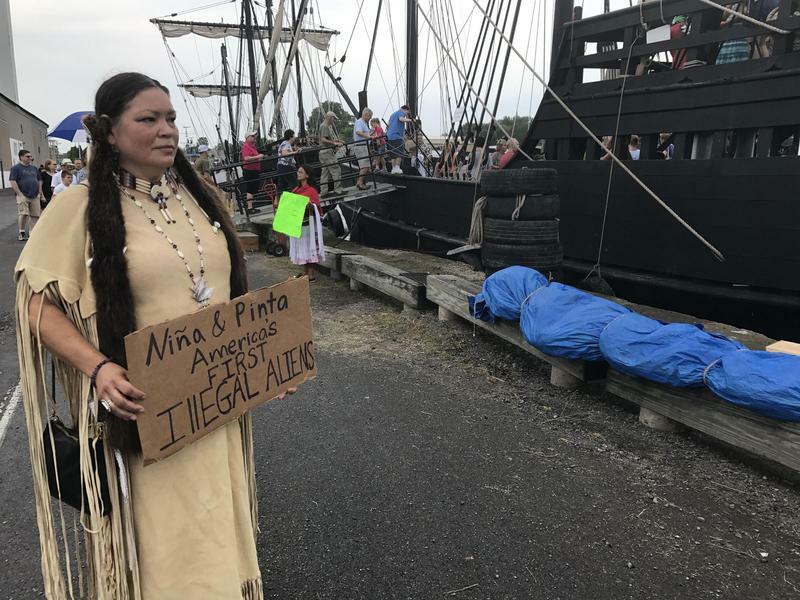 As protesters around the country push for the removal of Confederate monuments, a group rallied near the Ohio Statehouse against a different kind of statue: one of Christopher Columbus. Two replica Christopher Columbus ships are sailing across the Great Lakes this summer, offering visitors a chance to learn about the famous explorer's voyages. But Native American activists say the ships only tell half of a story. 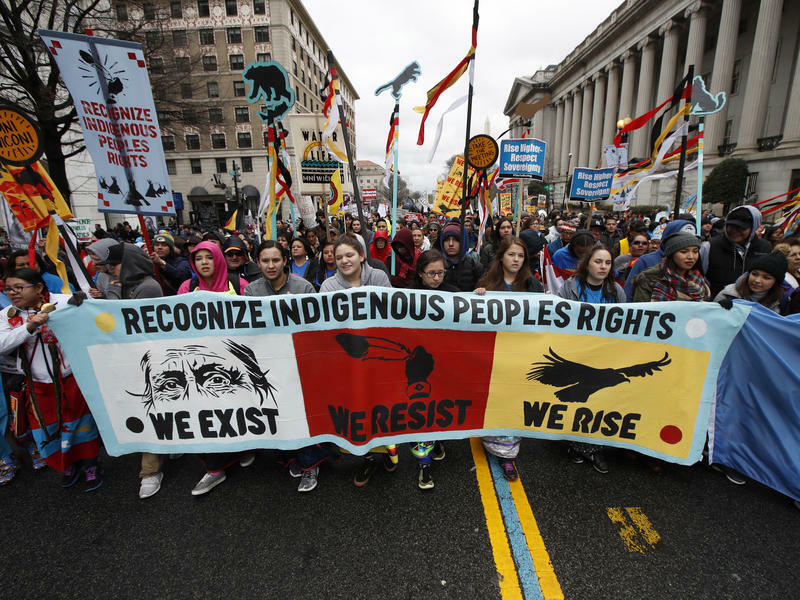 Members of American Indian tribes, indigenous communities and their supporters are demonstrating today in Washington, D.C., calling on the Trump administration to meet with tribal leaders and protesting the construction of the nearly complete Dakota Access Pipeline. The protest is partly led by the Standing Rock Sioux tribe, which has been battling the federal government for more than a year over an oil pipeline that members say endangers their drinking water and has destroyed sacred sites in North Dakota.